Patricia Detwiler is a professional Hospitality Consultant & Real Estate Broker with 30 plus years of professional expertise in hospitality, creative design, Bed and Breakfasts concerns, management, business development, operation logistics, marketing, website development & financial analysis. If we don’t have a particular property type listed we will happily find the right property for you…no matter where that may be. With experience in many states, we are confident we can find the right match for you. There are few folks as savvy about Florida bed-and-breakfast inns as Pattie Detwiler. 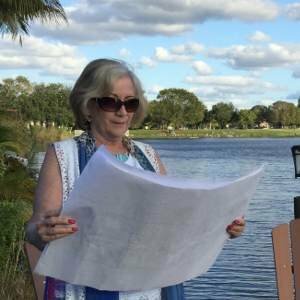 The Royal Palm Beach woman has visited most of them, teaches aspiring innkeepers and serves as Executive Director of the Florida Bed and Breakfast Inns association. I meet so many people who tell me they always wanted to have a Bed and Breakfast. Some think of it as a retirement business, some just love hospitality and don't know where to start and some think of it as a way to own a beautiful home and have guest revenue help cover the costs. Either way, it's a business to operate. I created my first Bed and Breakfast as a way to keep a real estate asset. It was the best decision I ever made. My background in construction and finance, along with my ability to host large parties and events at my home (20 acres of property), and my cooking expertise combined to make me a successful bed and breakfast owner. My first bed and breakfast was so successful, I quickly launched into my second location in our downtown area of Main Street.